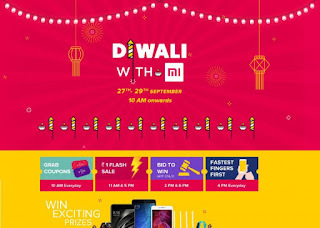 Xiaomi will hold its Diwali with Mi sale from September 27th to 29th on mi.com. In the sale it will have Re. 1 flash sale, offer discounts on smartphones and accessories. There will also allow you to redeem Mi tokens for discount coupons (Rs. 50, Rs. 100, Rs. 200 and Rs. 500) and F-codes for phones starting September 26th at 12PM.Re. 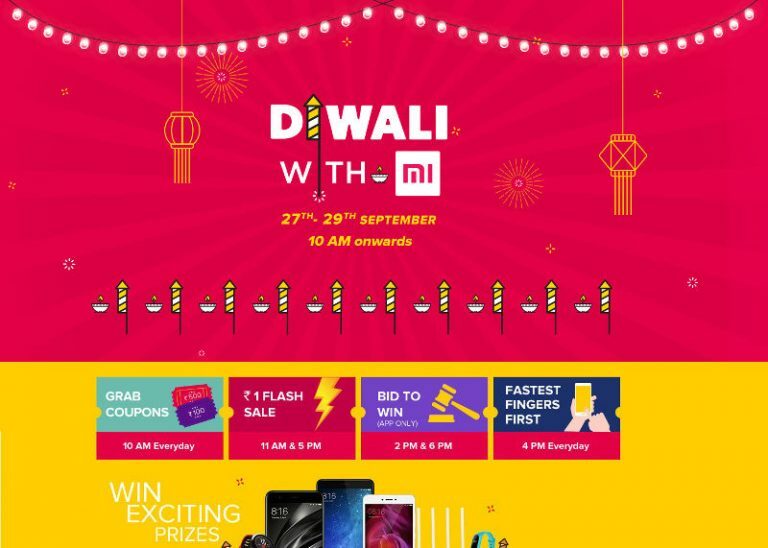 1 sale will take place at 11AM and 5 PM everyday during the sale that will let you stand a chance to get the Redmi Note 4, Mi Router 3C, Redmi 4, Mi Bluetooth mini speaker, Mi Selfie Stick, Redmi 4A, Mi Band HRX Edition, Mi Capsule Earphones, Mi Wi-Fi Repeater, Mi Backpack and Mi VR Play. There will also be Bid to Win (app only) offer at 2PM and 6PM everyday during sale and Fastest Fingers First at 4PM everyday. Paytm – Flat Rs 400 cashback on Redmi Note 4 (all variants) when you pay using Paytm. Hungama Music & Play (Video) – Free Hungama Music (valid for 12 months) & Hungama Play (valid 3 months) with every smartphone purchase. Paytm Flights – Up to Rs. 1,111 cashback on Domestic flight booking with every purchase made on mi.com. The cashback is applicable once for tickets booked till 31 Oct 2017.